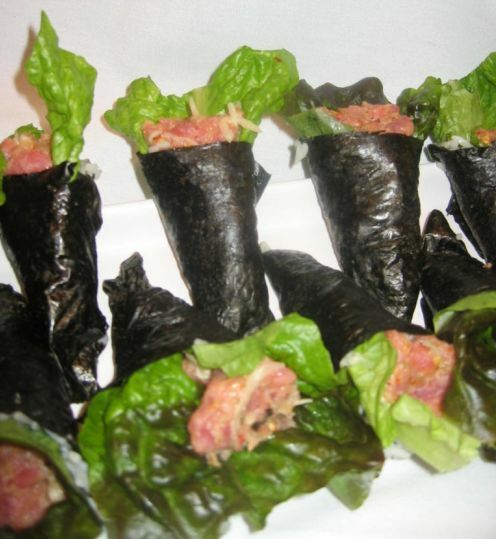 Tonight we are invited to Phuong's and Dung's for a pot luck dinner. 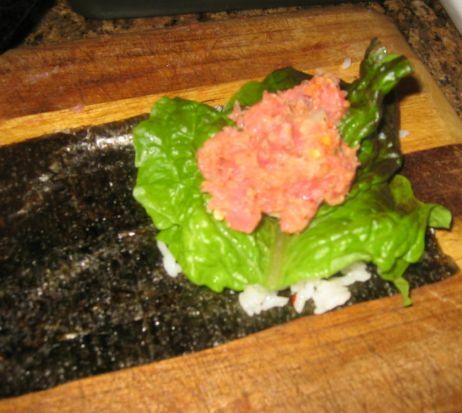 The dinner theme is Japanese food so I volunteered to bring some spicy tuna hand roll. 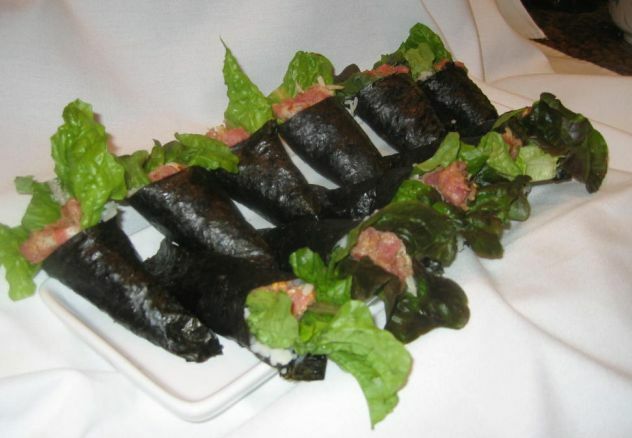 Here, the taste is kept simple by using fresh tuna and just enough spicy mayonnaise sauce to lift the tuna's flavor. 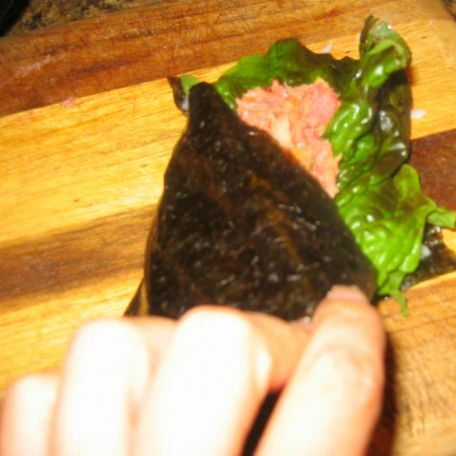 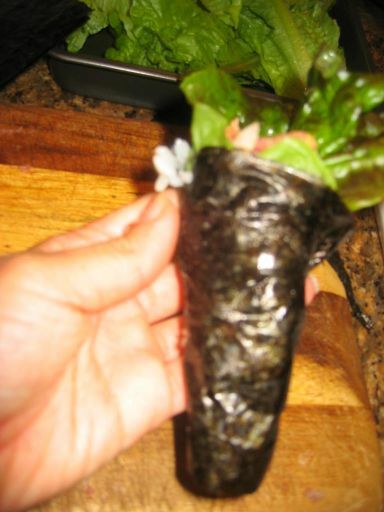 When making hand rolls, buy the highest quality nori you can afford because the nori is such a dominant part of a hand roll's taste and texture. 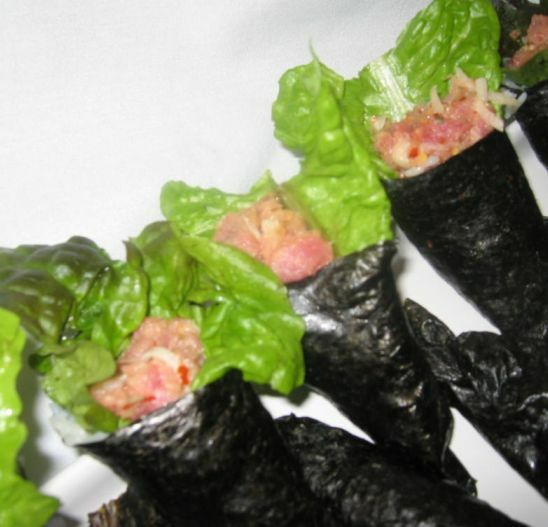 Spicy tuna hand rolls are pretty tasty and very healthy to eat. 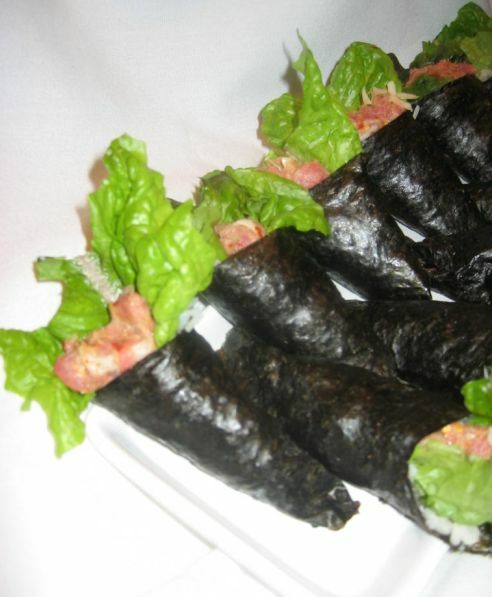 Close up at the hand rolls. 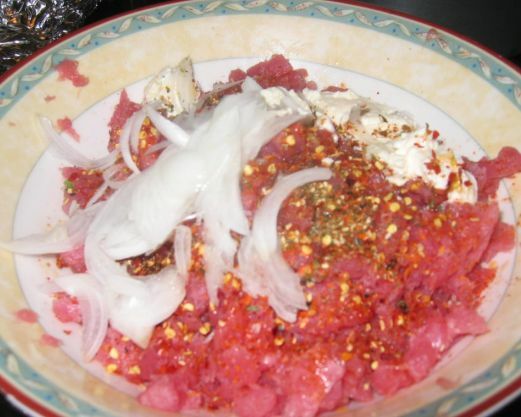 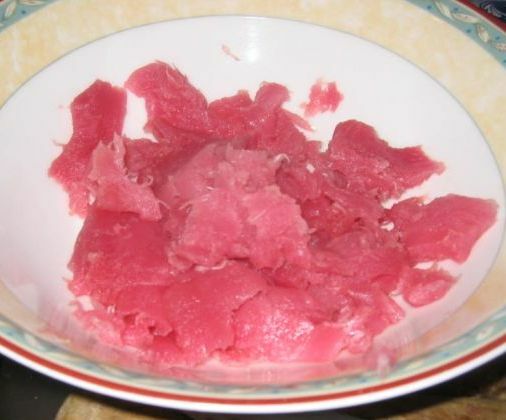 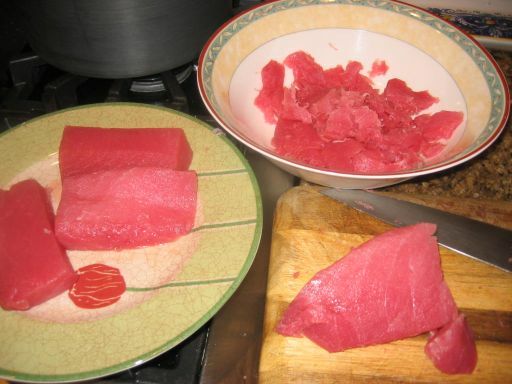 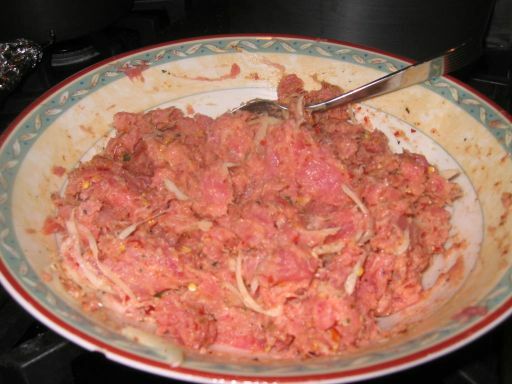 All the ingredients are well mixed with the Tuna and it is now ready to use in the hand rolls. 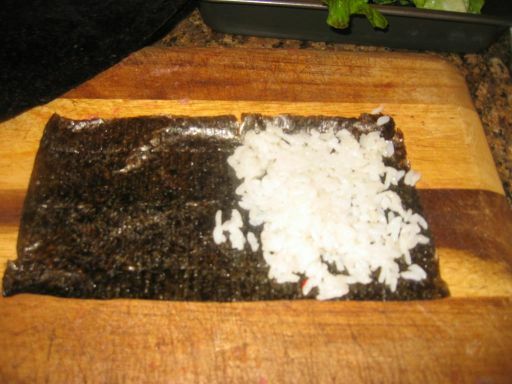 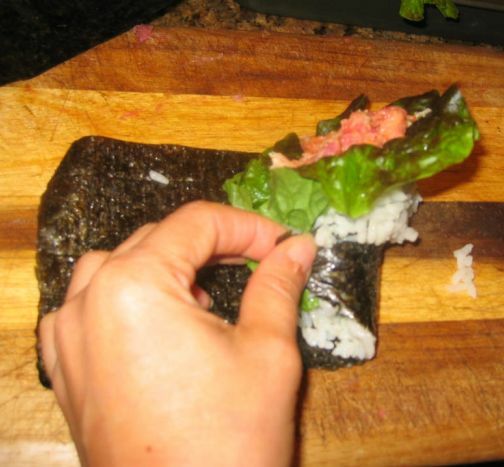 Sushi rice is then spread on the nori sheet. 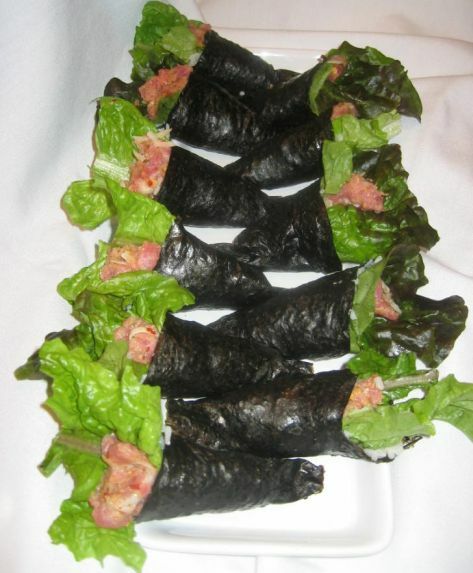 The hand roll is now wrapped and ready to serve.